Autism has become something of an epidemic, especially in children. About 50 years ago, autism was not nearly as prevalent as it is now. In fact, the Centers for Disease Control and Prevention reports that in today’s schools, about one in 50 children have a form of autism. Autism is a neurodevelopmental disorder that affects a person’s ability to process sensory information. Essentially, the brain’s synapses are unable to connect and organize this data properly. As a result, the disorder is often characterized by repetitive behavior, cognitive and language delays, emotional outbursts, and sometimes, an inability to communicate verbally. These diagnoses have often made it difficult for children to participate in general education settings, making special needs schools a critical part of providing these children with a high quality education. There are also special education programs within most elementary, middle and high schools, employing teachers who specialize in working with special needs children. But on the flip side, many of the world’s greatest minds were autistic — Albert Einstein, Amadeus Mozart, and Charles Darwin all reportedly displayed signs of this disorder. Similarly, several autistic children have minds that are attuned to one or more specific subject or ability. Because the symptoms are extremely varied, autism is often expanded into what is called autism spectrum disorders. In other words, there are a few different disorders that can be classified as a form of autism based on their symptoms. This syndrome’s main symptom is a severe inability to engage in social interaction. This form of autism was studied by Hans Aspberger, an Austrian pediatrician, in the mid 1940s. His research found that some children displayed very little empathy for peers, were unable to process common social cues, and displayed a lack of coordination. But because many of the symptoms of this syndrome are similar to autism, patients are no longer given this diagnosis. In 2012, the American Psychiatric Association removed Aspberger Syndrome from its official Diagnostic and Statistical Manual of Mental Disorders. Instead, the syndrome is now part of “autism spectrum disorders,” and is no longer a specific diagnosis. 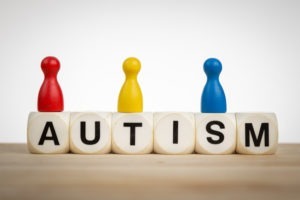 While researchers and doctors have attributed autism spectrum disorders to genetic, neurological, and cognitive problems, more studies have concluded that there are a number of different factors that concurrently cause the symptoms. There is no cure for autism, but more research is needed to continue to help children manage their condition.